These "O' Ring sealed Aluminum Capsules are ideal for survival kits, or hanging off a key ring or pack. Fill them with tinder, matches, sewing needles, medications, etc. 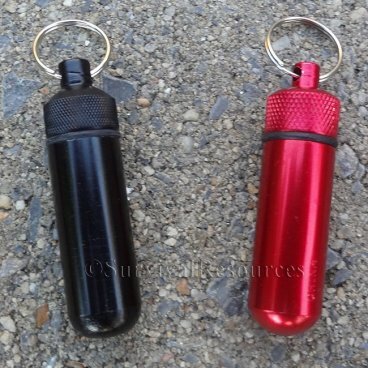 The small capsules are 5/8" x 1-5/8" long.